All that glitters is not gold. 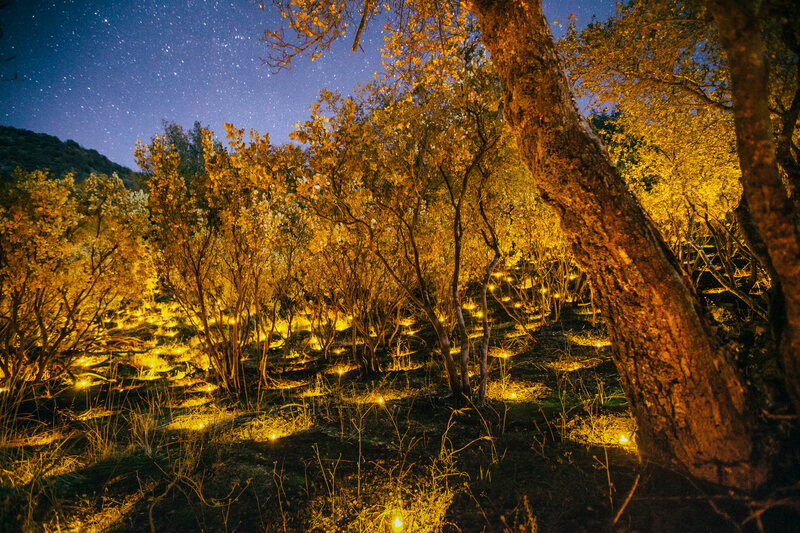 Electric tea lights illuminate the placement of plants in a marijuana grow in High Sierra National Forest. Each divot would hold three plants at a time. This lone plot, one of several making up the entire grow, contained about 1200 plants. A single grow can range from a thousand to tens of thousands of plants.